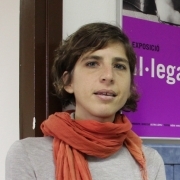 The inaction of the European Union in finding a solution to the situation of thousands of people seeking international protection is an example of institutional racism, present in the policies of the Union and its Member States, in varying forms depending on the level of the competent administrations involved. We are witnessing the dramatic failure of the Common European Asylum System, and we can highlight three key elements that make this evident. Firstly, prioritizing security above the fulfilment of human rights: the budget allocations of the EU member states to control their borders are grossly higher than the allocations to receive refugees. It is important to remember that 85% of refugees are in impoverished countries, in many cases refugees’ countries of origin. Secondly, the ineffectiveness of the Dublin Convention. The “Dublin system” is based on the assumption that, since the laws and procedures on asylum in the EU member states are based on common standards, these allow asylum seekers to enjoy similar levels of protection in all countries. In practice, however, the countries in the South of the EU (basically Greece and Italy) are left alone to receive refugees. And the third element, the ineffectiveness of the “resettlement” policies based on quotas of asylum seekers –besides constituting a clear violation of international asylum laws: member states are failing to fulfil the quotas allocated to them by the European Commission. In light of the inaction of member States, it is important to highlight the citizens’ mobilisation showing solidarity with the suffering of thousands of people; citizens have taken awareness and have decided to get organised in movements to defend human rights and to demand responsibilities and changes from the competent authorities. This year, the consequences of wars, situations of misery, the lack of opportunities and a future in many countries in the world… have come knocking on the doors of European countries. They are no longer headlines from distant countries, hidden away in the International section of the press, and are now making the front pages, because many of these people are arriving on the beached and at the boundaries of many European cities. But the European Union and its member States are just turning a blind eye, and instead are seeking to consolidate the Fortress Europe: erecting shields, through militarisation and externalising its borders.